UK based research firm, Transport Research Laboratory (TRL) provides independent and impartial world-class research, consultancy, testing and certification for all aspects of transport. Founded in 1933, TRL has worked with governments, international funding institutions and private sector clients to bring knowledge and understanding based on research and testing to a vast array of transport related issues. 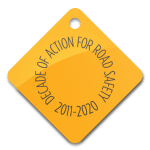 This enables TRL to set standards, formulate policy, manage risk, improve safety, reduce environmental impacts and encourage good engineering practice. TRL’s expertise encompasses an extensive range of capabilities in support of making roads and road networks safer, sustainable and durable, climate change resilient and innovative, and embracing cutting-edge technologies to monitor performance and traffic flow. Efficient and effective road networks are a strategic imperative for economic growth. Free flowing traffic is essential to support productivity, but with a growing population, volumes are increasing. We help public and private sector customers maximise network availability with research, analysis and technology evaluation that support policy, planning and project delivery.